Scientists have conducted studies on mice and discovered that the aroma of jasmine plant and jasmine essential oil significantly calmed them, and made them stop all activity and sit quietly in a corner. 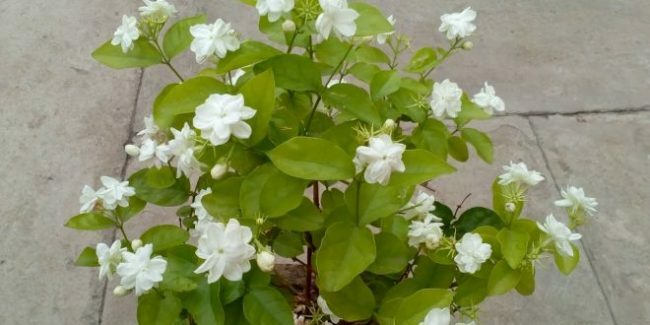 Their brain scans showed that jasmine fragrance boosts the effects of a chemical called GABA on nerve cells, and thus relieves anxiety and encourages rest. According to Professor Hanns Hatt, these findings published online in the Journal of Biological Chemistry can be regarded as evidence of a scientific basis for aromatherapy. Prof Hatt, of the Ruhr University in Bochum, Germany, stated that their studies discovered a new class of GABA receptor modulator which can be administered parentally and through the respiratory air, and it can have possible applications in sedation, anxiety, excitement, and aggression relieving treatment and sleep induction therapy. Subjects who breathed jasmine in the air rated their level of anxiety and vigor lower, and performed cognitive tests faster, while the alertness level in the jasmine odor condition was greater during the afternoon hours, which helped maintain students’ focus on academic work throughout the day.